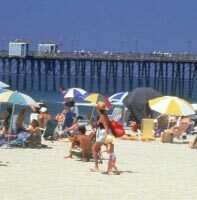 Looking for an Oceanside Appraiser? Although we appraise properties throughout Southern California, we are the preferred Oceanside appraisers. That's because this is where we live - We are familiar with Jeffries Ranch, Rancho Del Oro, Fire Mountain, the newer Arrowood Development, the condos along the coast, the Tri - City area, and all of the other areas that are unique to Oceanside. We encourage you to call or email us if you have a question about Oceanside or Oceanside appraisals. We are proud of our town and are eager to share it with you! Official website for the City of Oceanside. Complete directory of Oceanside schools.